I’ve always loved wood furniture and flooring because it reminds me of our old Spanish theme house way back early 70’s when I was still a child. I like the look of walnut and deep brown color in every corner of the house creating a very exquisite and elegant look. Now that we’re planning to renovate the upper floor of our house we’re thinking of replacing our flooring not with the intended slab flooring but of the good old hardwood flooring. Since our budget would just be enough we need to search and canvass carefully to maximize our resources. 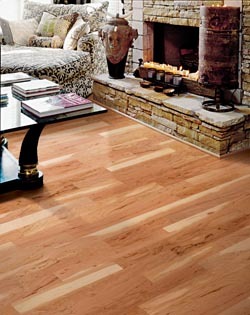 We need a supplier like Flooring America which supplies wood floors and more. They carry all name brands and provide wide range of hardwood flooring colors, shades and finishes to suit your specific taste and needs. Choosing the right floor for your home is vital because it can make or it can break the beauty of your interiors so you should think carefully before deciding which really fits your lifestyle and budget. With Flooring America you can make better choices as aside from hardwood flooring they also offer wide variety of floors including carpet, laminate, vinyl and tile flooring. They have flooring professionals that can help you plan the best flooring for your home.